Here is our latest episode of Hamari Kainaat (Our Universe) on evolution of stars. 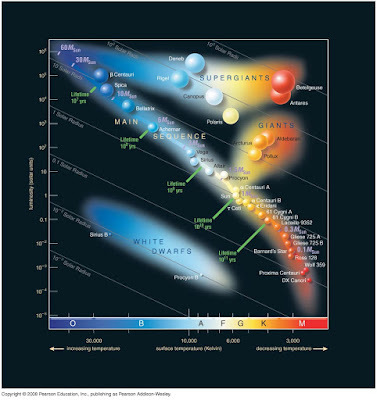 In particular, we spend time discussing the Hertzsprung-Russell (HR) diagram. It is a tool of understanding how stars function and evolve over their lifetime. We are still not done with HR diagram. I think we have at least two more episodes in the future dealing with it. In the mean time, here is an introduction on this in Urdu. For more episodes, please visit the website of Hamari Kainaat. 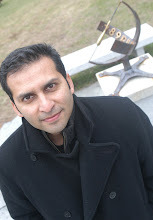 Hamari Kainaat (Urdu) - Episode 8 from Umair Asim on Vimeo. "Hamarai Kainaat" (Our Universe) is an Urdu Podcast about Astronomy, published by Umair Asim and Dr Salman Hameed. One of our main purpose for this podcast in Urdu, is to share the knowledge about our Universe to anyone relating to any walk of life in Pakistan and beyond.